Product Brief: French company Zoook has launched its latest Bluetooth speaker, the ZB-Solar Muse, priced at Rs 4,999 in India. The portable speaker boasts of 3D surround sound and is equipped with a solar panel which can charge its batteries. 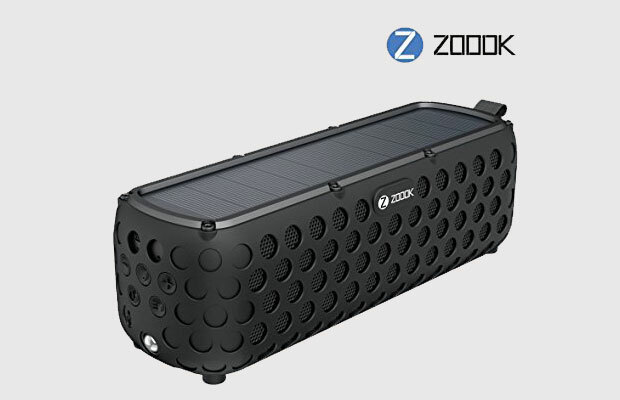 Product Features: Zoook’s ZB solar muse is shockproof, dustproof and waterproof. The device comes with a built-in flashlight and a mic for handling calls. It is also equipped with an LED display. Application: The ZB-Solar Muse is an all-weather portable device designed for avid travellers who love to tune to their audio library on-the-go. Benefits: The wireless Bluetooth speaker requires no power plug-in’s or adaptors as it can deliver audio by absorbing solar energy. The speaker has integrated solar panels to charge the lithium battery, which lasts about 30 hours on a single charge.